Oh how nice it is to finally have a face to go with the singing voice we’ve been hearing in Angel Beats. Posted on the official site yesterday was a PV of the real life Girls Dead Monster performing “Little Braver” from their third single, slated to be released on June 9th. The song features Yui‘s singing counterpart LiSA on vocals, whom we’ve already heard in the show with her version of “My Soul, Your Beats!” back in episode four and “Thousand Enemies” in episode five. I haven’t talked about the music releases in my weekly coverage of the series, but the first one was titled “Crow Song” and featured marina, Iwasawa’s singing counterpart, whereas the second one was the aforementioned “Thousand Enemies”. Each single features three completely different songs by Garudemo, which is pretty impressive considering how they’re unlikely to all be used in the actual show. Instead, it’s just P.A. Works and Maeda Jun‘s way of showing up another Yui in some other production by a bunch of guys hailing from Kyoto, who haven’t been putting out much in the music department. 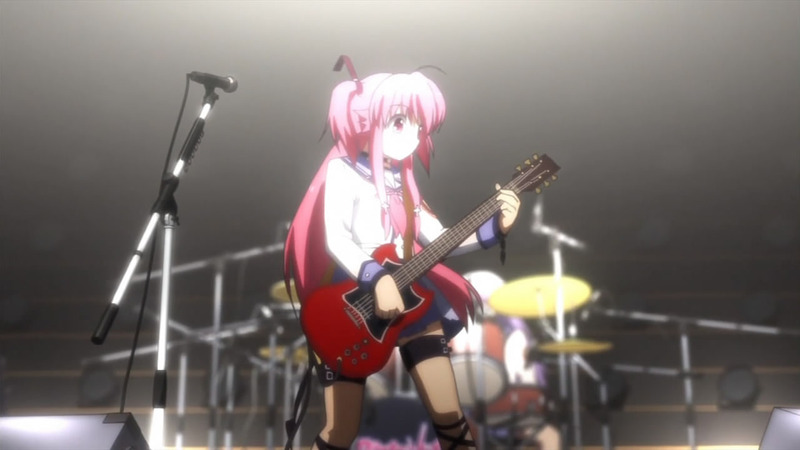 An obvious exaggeration, considering how Houkago Tea Time’s OP/ED themes topped out at #1 and #2 on the weekly Oricon charts respectively, but Angel Beats has animated many more performances so far — and really good ones to boot. In any case, “Little Braver” is a surprisingly good song from the very first listen, so I’m hoping we’ll see a performance of it at some point in an episode. If you haven’t already, I recommend checking out the other two singles as well. The OP/ED single featuring Lia and Tada Aoi on the other hand is scheduled to be released in only four more days (May 26th), so it’s definitely worth keeping an eye out for that too. Note: All Girls Dead Monster songs and both the OP/ED themes are written, composed, and produced by Maeda Jun specifically for Angel Beats. * Thanks to Silverwolf X for the heads-up on the PV. same with all the other songs. I’ll say it again, this song ROCKS! Blows the others out of the water. (Not saying the others weren’t good mind you!). This is why I love the vocalist. Awesome!! I like the first single very much, I’m listening to all of the 3 musics everyday while travelling on train, but I didn’t really like the second single (expect for Thousan Enemies). On the other hand, I like this one. This is already GDM’s THIRD single in 3 months. At this rate, we’ll have a full GDM album by the time the show finishes, containing nothing but awesome rock songs. Yup, its also on the site for some time. Already preordered. Its also the album to get if you’re after Yui’s version of the Opening. good song and nice PV. Awesome song. It’s always nice to see a good all-girl band, like Stereopony. This is why I’ve been a Girls Dead Monster fag since day one. I wish they recorded more stuff with Marina, but LISA is just as good. ^ Honestly i wish they actually made a dvd/bd of nothing but fully animated girldemo concerts and them singing all their known songs. But then i’m not a big fan of GirlDeMo nor the other anime with “Yui”‘s songs other than “My song” and “Don’t say Lazy” respectively. There’s just something about the songs in this show…I can’t explain it, but they are very rewarding. Awesome stuff! This isn’t even a musically centered anime and it’s pumping out more songs than K-On! Damn. The one thing I absolutely love about J songs is that I don’t have a freaking clue what they’re saying, but I love how the songs sound. Lets face it, western music is a bunch of generic background music tracks stitched together in some random order, with the main focus being whatever he/she is singing. I forgot who, but I remember one (probably well known) singer obviously ripped the opening out of Numa Numa. Meanwhile, I can tell J songs apart by listening to them for 2 seconds. 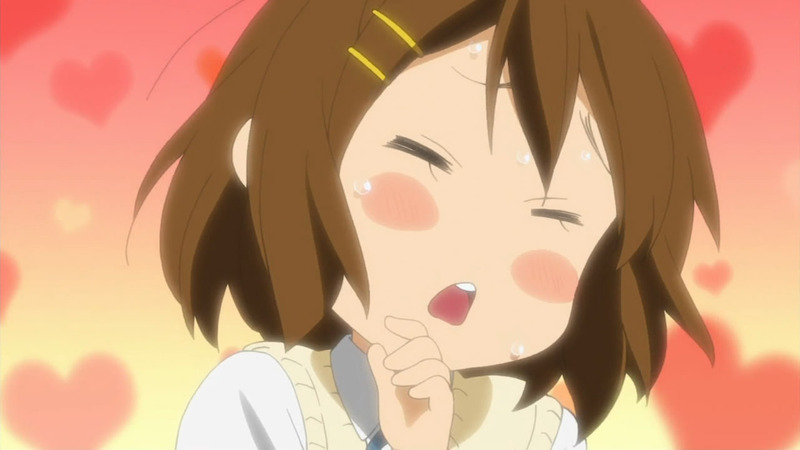 Also, about that other Yui from that other show made by those guys in Kyoto: they have to make their songs from scratch, and have their seiyuu sing it. Conversely, these guys are the equivalent of “hey you, I’m using your song” and then animate stuff around it. So naturally, the process is MUCH faster. …having said that, I’m surprised that other show doesn’t have random instrumental time more often. Sorta like EP 5-ish. Actually, in addition to being a writer for Key, Maeda Jun is one of their prolific composers as well. All of the Girls Dead Monster songs are written, composed, and produced by him specifically for this series. They’re all original, including the band itself. I’ve never heard of “marina” or “LiSA” prior to this. The OP/ED themes “My Soul, Your Beats!/Brave Song” performed by Lia and Tada Aoi are written and composed by him too. It’s pretty impressive to say the least. So apparently, the OP/ED single got leaked out early, might wanna check it out if you want. Full version of the OP is nice but the real surprise was the ED Instrumental version, completely unexpected beautiful piece right there. Hey guys I have a question, where do you download your japanese music. I use tokyotosho but it seems like they tend to have anime related songs. I upload songs onto youtube and I’d like to find a better place to find japanese music. If you guys like my song, marina has some non anime songs released and I have the song　もっと Motto on my youtube account. I know that shops in Hong Kong which import goods from Japan has a habit of sneakily releasing their merchandise a few days earlier from the official release dates as designated by the licensors, be it video games, CDs, DVDs, or magazines. So they’re probably your primary suspects. Dunno if it has a negative impact or not, but a day after, preorders for the single soared. LOL. Seriously if you guys like the music, buy it by any means. I like the OP I gotta get that. The OP/ED can be downloade right now, flac!!!!! only yui’s seiyuu would go well with this song. and oh my god, is that guitarist playing a gibson les paul sunburst?